The Ross Pendergraft Library and Technology Center will be closing early Tuesday, November 22nd, at 9:00 PM and Wednesday, November 23rd at 5:00 PM (or whenever the University closes). It will not reopen until Monday, November 28th, at 7:00 AM. See our website for regular hours and upcoming finals schedule. 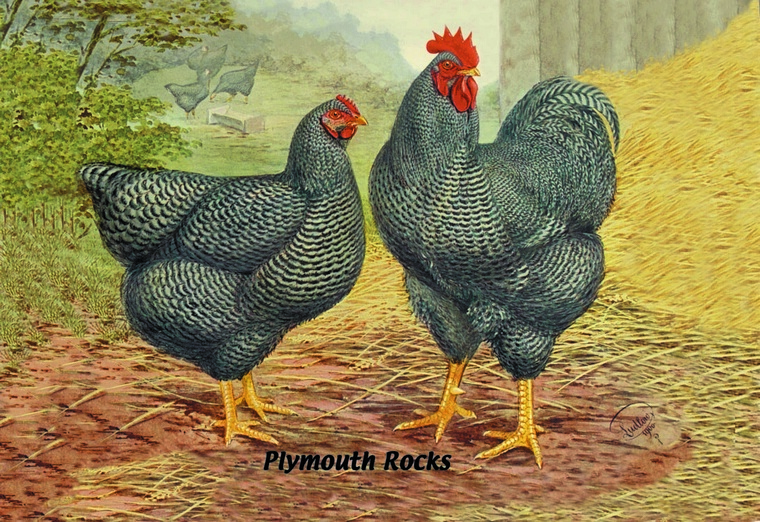 Academic Search Complete – This multi-purpose, Neapolitan ice cream of databases can serve up full-text, scholarly articles from a cornucopia of subjects, from first-hand pilgrim accounts of the Mayflower voyage to egg production of Plymouth Rock chickens. Tools are embedded within the database to allow you to email articles, obtain a permalink, or export to a citation manager like Refworks. Fill up on academic sources for most research topics here. 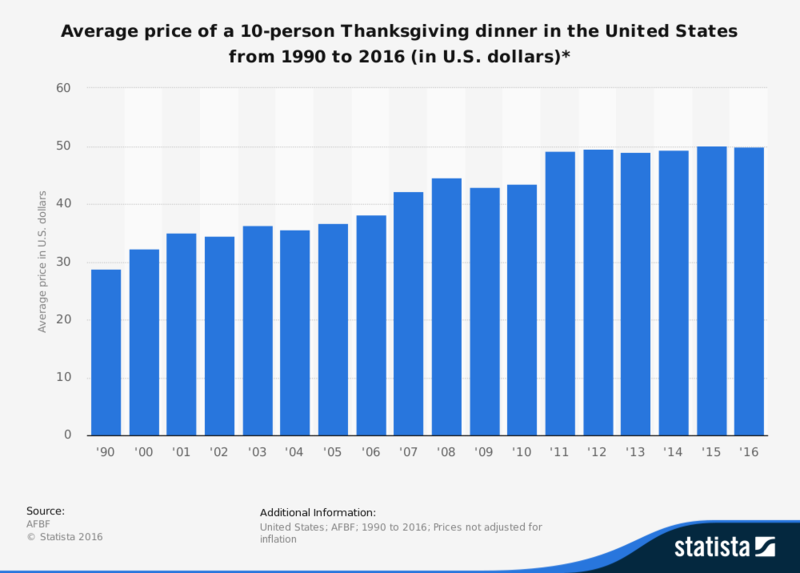 Statista – Be prepared for any family gathering with this handy resource for quick facts, statistics, and eye-catching infographics. This specialized database, available on our A-to-Z database page, contains business, marketing, and population statistics from around the world. Each chart or graph can be directly exported into Powerpoint, PDF, or Excel for an extra visual boost to your reports and presentations. Data sources include Nielsen, Euromonitor, Experian Simmons, GfK, Ipsos Affluent Survey, Gallup, US government agencies, private companies, non-profits, and many more. PBS Video Collection—Veg out in your tryptophan stupor by selecting a film from this collection of award-winning documentaries and series. Watch full-length content from any device on subjects such history, current events, psychology, art, music, and more. 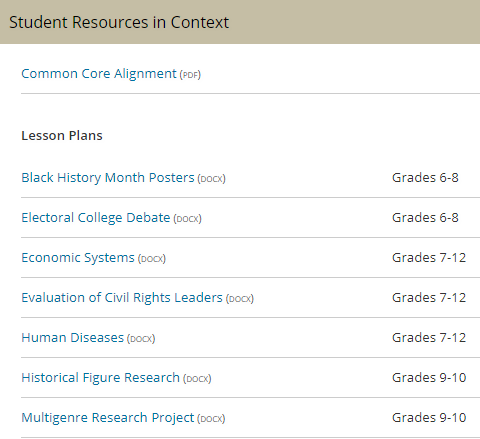 Browse by topic or field of interest, or search for series or videos directly. Need face-to-face help? Catch us before we close by stopping by at our Reference Desk, calling us toll-free at (855) 761-0006, or sending us a text at (479) 802-4876. We are also available via email at askalibrarian@atu.edu for all your pre and post-Thanksgiving research needs. Safe travels and enjoy the break! 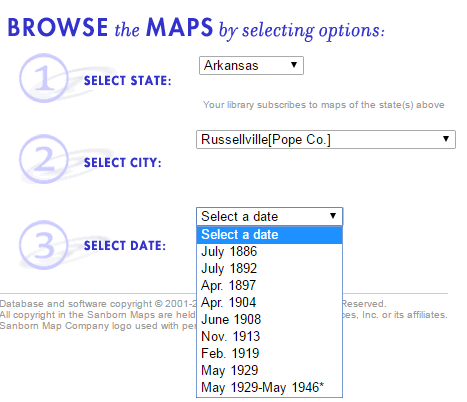 Delve into Arkansas History with our latest database collection, “Digital Sanborn Maps, 1867-1970: Arkansas”. This rich collection of early maps of cities and towns reveal the original footprints of buildings throughout Arkansas. 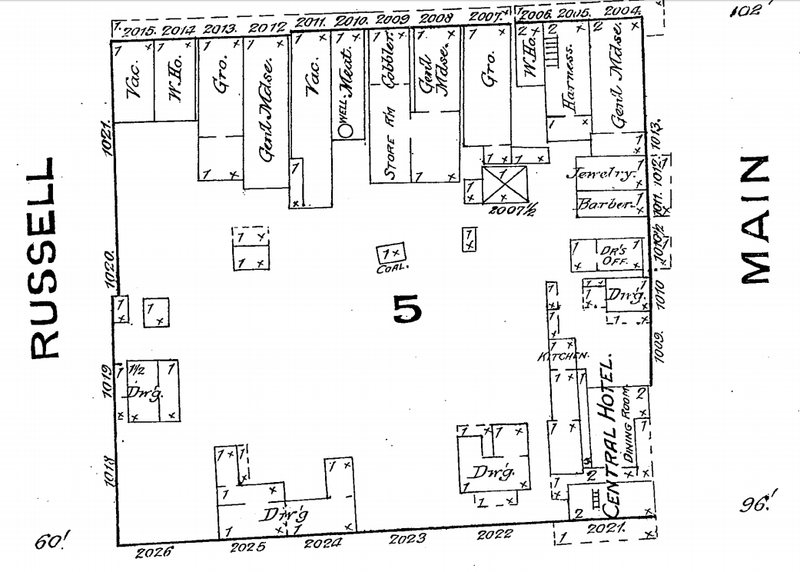 Sanborn maps were large-scale plans of a city or town, drawn to a scale of 50 feet to an inch. These were created from 1867 to 2007 to assist fire insurance companies in assessing the risk of fire to various structures and buildings. Today, they are used for a wide-variety of purposes, particularly for historic research, urban planning, or restoration of older homes and buildings. A Sanborn map can show you street names, block numbers, sidewalks, railroad tracks, the location of water mains, churches, businesses, windows, doors, and even porches. These maps–now digitized and available in an easy-to-search, online database—can carry you back in time to show you how a particular place looked over 100 years ago. The Library owns the Arkansas collection of digital maps, which include maps on just about every town in the state. Smaller towns may contain only a few maps, but larger cities, such as Russellville, will contain maps from multiple years, spanning from the mid-1800’s to the mid-1900’s. Once you have selected a city and a map, download the map for easier navigation and zooming. There is even an option to print selected areas. July 1886, Sheet 1. One block on Main Street. 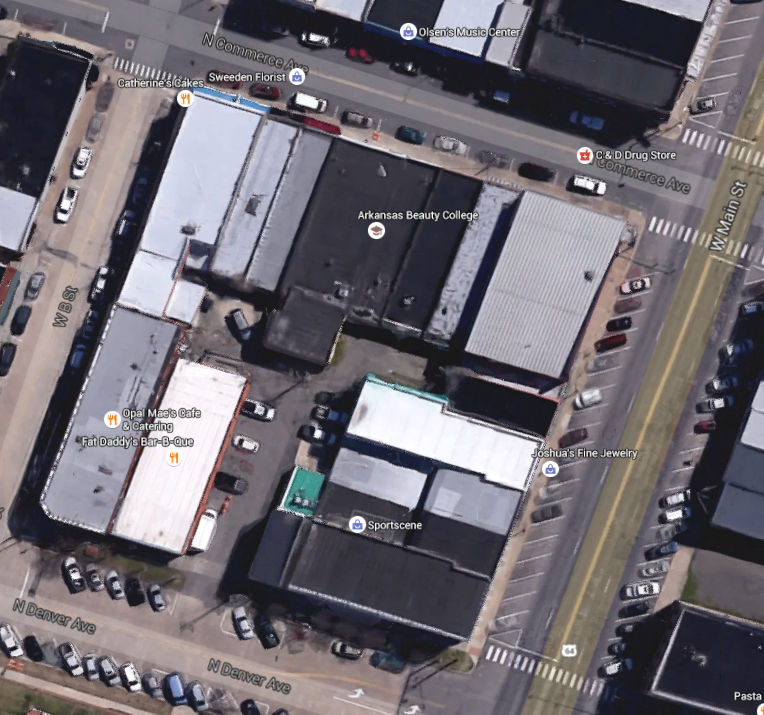 The train depot is further left, with what is now Denver Ave. bordering on the bottom. The Central Hotel is now Sportscene. Travel back in time today by exploring the Digital Sanborn maps. For other questions about this resource, the library, or other databases available to you as an Arkansas Tech student, consult your Timelord librarians at askalibrarian@atu.edu. Trying to prove your point? 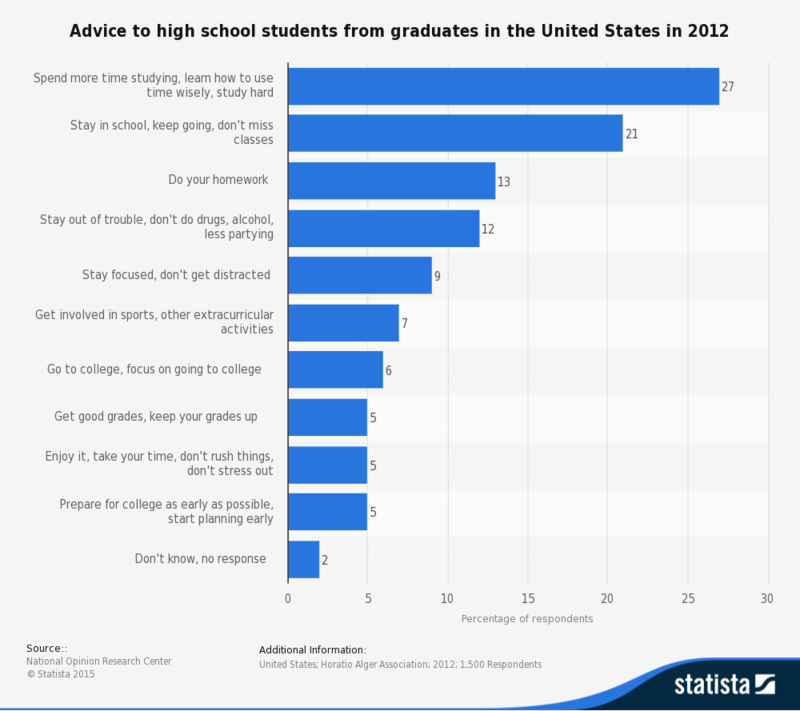 Do it with pictures, colors, charts, graphs, and numbers in Statista. Visualize complex data by exploring this easy-to-use new database from the Library. You can find Statista from our Library homepage, under Tech Databases. Many databases accessible in the Library collection are comprised of articles, abstracts, or, in some cases, ebooks and video. In contrast, this database consists of statistical facts and figures delivered as eye-catching, straight-to-the-point graphs and charts. Statista uses information from the U.S. Census Bureau, Pew Research Center, Gallup, Nielson, ComScore, and more than 18,000 other sources to build relevant, simple data sets and reports. While most results center on business-related topics, students with any research subject will be blown away by the wealth of information on media, society, and politics. Statista also features over 1,000 industry reports and more than 3,000 market studies, including market forecasts for 42 countries and over 400 industries. 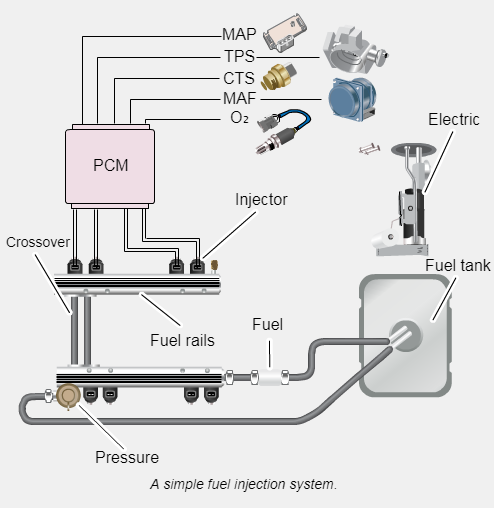 It also includes hundreds of infographics, painting visually appealing pictures out of complicated data. Statista knows that seeing the data can be much easier—and more convincing—than simply reading the numbers on a page. 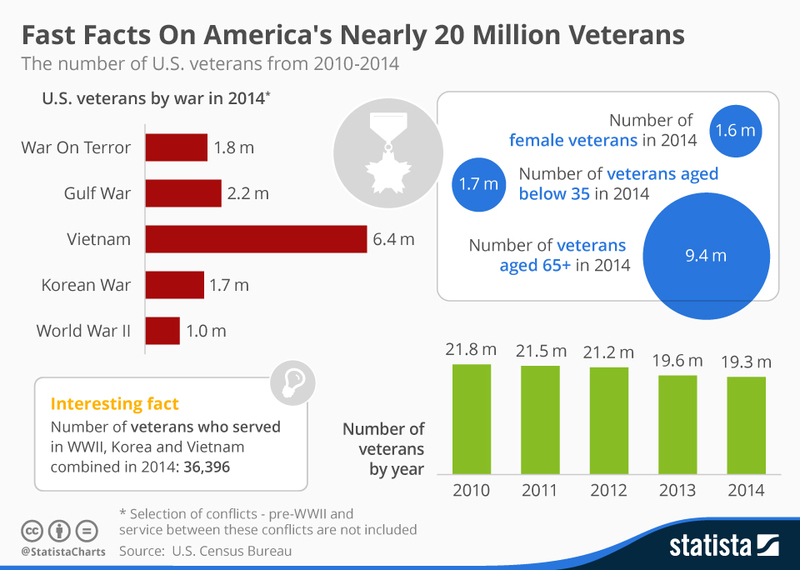 Statista makes it easier to share that information, too. Download charts and graphs as Powerpoint slides, Excel charts, image files, or PDFs. Every chart displays the source of the information, as well as a citation generator* to easily cut and paste references into your bibliography. To find statistics on a wealth of topics, use the simple search interface on the home screen or browse by topic, industry, country or digital markets. Filter results by publication, category, or region. 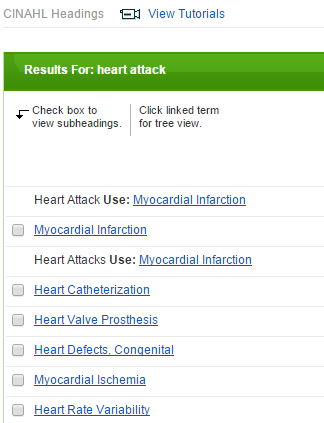 Each result also recommends similar statistics to keep you supplied with more paths to finding facts. So get your facts straight by heading straight for Statista. You can also contact the original fact-checkers, your local librarians, at askalibrarian@atu.edu, for help with this database, any database, data, or bases. *Always check automatic citation generators against official style guides. 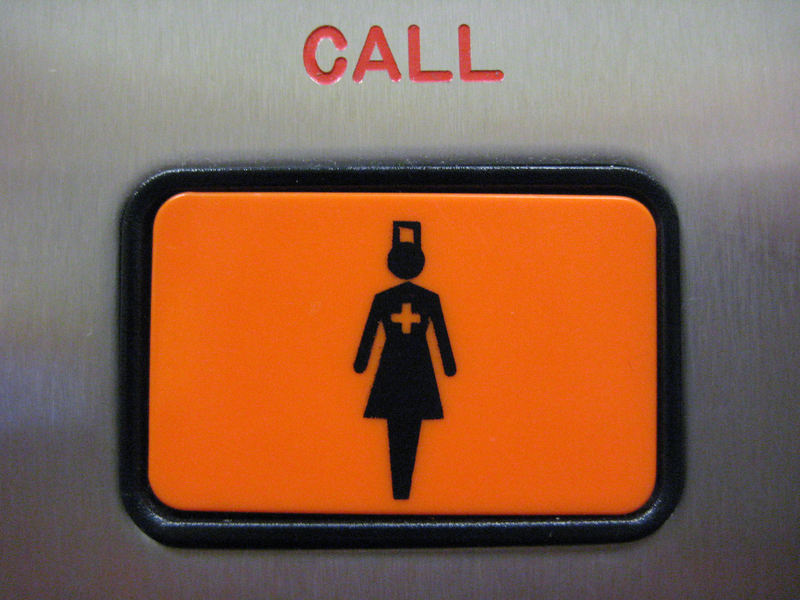 Nursing students: are you tired of zero results? Tired of submitting ILL requests for articles you needed yesterday? Tired of wandering endless result pages, looking for full-text? 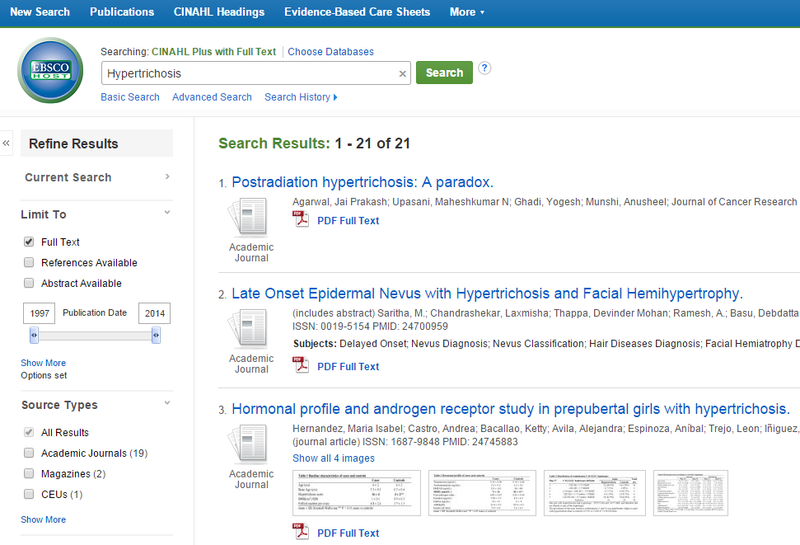 Look no further than our new and improved CINAHL Plus database with full text. Recently acquired by the Library to help bolster a growing Nursing Department at Arkansas Tech, this update to our older version of CINAHL includes more full text to nursing and allied health journals and deeper indexing to include allied health literature and bio-medical resources dating back to 1937. What does this mean to you? With an expanded index, you have a greater chance of finding articles relating to your topic, no matter how obscure. In addition, available full-text coverage expanded from 70 journals to 700. While not every article you find will include full-text, a greater number will, including articles from the National League for Nursing and the American Nurses’ Association publications. In addition, this database offers access to health care books, nursing dissertations, selected conference proceedings, standards of practice, audiovisuals, book chapters and more. For example, the expanded database also includes 134 Evidence-Based Care Sheets which provide concise overviews of diseases and conditions and outlines the most effective treatment options. Want to find Evidence-Based Practice articles? Scroll down from the advanced search screen to limit your results. You can also limit by Clinical Query type, Peer-Reviewed, Nurse authored, age group, randomized controlled trials, region, and other variables. If you find yourself still lacking in relevant results, use CINAHL Headings to select appropriate heading terms for your topic. There’s so much you can do with CINAHL, you might need a tutorial to explore all of the features. But a dedicated team of friendly neighborhood librarians are standing by to help if you have any questions. Give it a try today—we promise, it won’t hurt a bit. Thousands of full-text, academic e-books are at your disposal from now until Wednesday, November 26th. Browse titles in Business, Anthropology, Science, and more. For more information about what’s offered, see their libguide, which covers search strategies, video tutorials, and more information about their titles. Be more with this collection of streaming videos from PBS provided through Alexander Street Press. Browse your favorite episodes of Nova, or watch one of the award-winning documentaries from Ken Burnes, all from the comfort of your laptop. Hundreds of documentary films are available through this collection, and each includes scrolling transcripts and the ability to make clips and playlists. But hurry–this trial ends December 6th. Ornithologists rejoice! You have access to the comprehensive life histories of over 700 species of birds breeding in the U.S. and Canada. Search for birds by keyword or species to get a treasure of information including photos, illustrations, migratory patterns, distribution, and other basic information. The database also includes video and audio recordings of birds, as well as data tables. This database is the enhanced, online version of the paper version now roosting in the Reference collection. You have until 12/15/14 to enjoy. So let us know what you think through askalibrarian@atu.edu. Your comments, criticisms, witticisms, praise, or blame help make the Library a better place for you, other students, and for the whole campus. Email your friendly neighborhood librarian today! Sometimes, the search results in Academic Search Complete can seem . . . less than complete. If you are having trouble finding full-text articles in biological sciences, switch over to the BioOne full-text database. With more than full-text 100,000 articles from 179 journals, BioOne can be a great place to find research in Biology, Zoology, Entomology, Plant Sciences, and Environmental Sciences. Located in our list of “Tech Databases”, BioOne allows you to search by author, title, DOI, and keywords within the full text of the article or captions from figures & charts. Unlike many of our other databases, all results will include full-text articles—no Inter-Library Loan necessary. 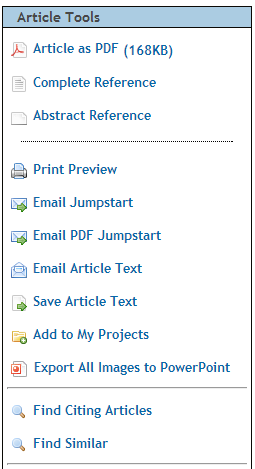 You can email links to articles, download citations to a citation manager, and even track citations with RSS feeds. For videos, tutorials, and more information about using BioOne, visit their Resource Guides page. For more information about BioOne, biological science, or finding full-text articles, contact your friendly neighborhood librarians at askalibrarian@atu.edu. One of our featured databases this month is ProQuest’s Literature Online, or, as it is sometimes known,“LION”. If you’ve seen Literature Online in the past, you may want to look again. The database has undergone a substantial face-lift, shedding years off its dated appearance and looking nothing like its 18 years as one of the leading resources in the study of English literature. 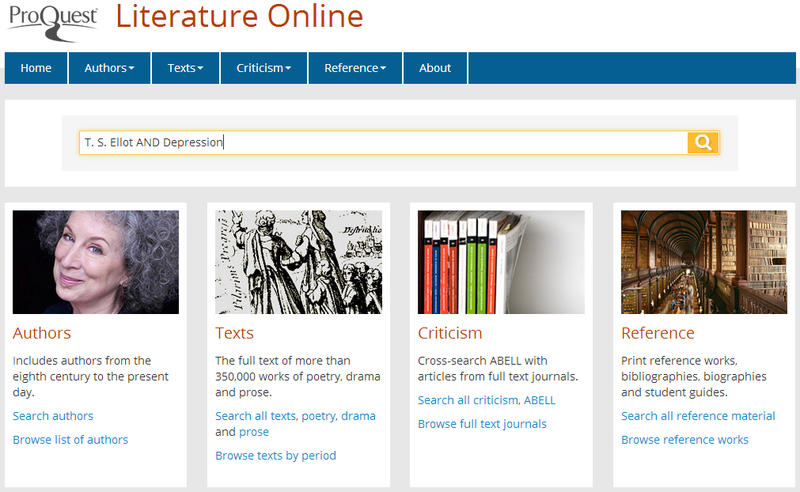 If you are going anywhere near an English class, be sure to bookmark this database as a go-to for literary criticism, author information, and full-text for over 350,000 works of poetry, drama, and other prose in English language. But wait—there’s more! Literature Online also includes 880 video clips of poets reading their own works, 38 fully dramatized, unabridged audio recordings of Shakespeare plays, and 921 links to historic video and audio recordings of poetry readings at The Poetry Archive. So if you ever find yourself feeling low, head to Literature Online and take a listen to The Wasteland, as read by T.S. Eliot in his own peppy, upbeat voice. 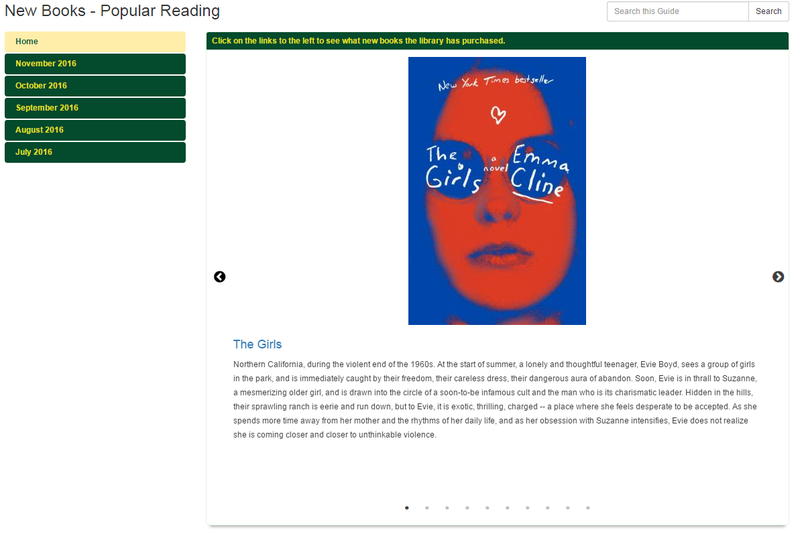 Navigation in Literature Online is nearly effortless with one “Google-esque” search box for quick keyword searching. Boolean operators like AND, OR, NOT will still work in this search, but you can find more advanced search boxes once you choose from one of the large resource categories of Authors, Texts, Criticism, or Reference. In addition to the simplified structure, more emphasis has been added to browsing available texts, author profiles, full text journals, and reference works. This can be helpful if you can’t quite remember how to spell someone’s name or just want to browse the lists for interesting topics. If you have more questions about this database, literature, or why T.S. Eliot sounds so dog-gone cheerful, contact your upbeat librarians at askalibrarian@atu.edu. This week, we’re spotlighting the medical resource, OvidSP—a full-text database containing over 67 journals in the field of Nursing, Public Health, Pharmacology, Patient Education, Clinical Medicine, and more. You can find OvidSP though our Library homepage, under Research–>Tech Databases. Scroll down to find it in our alphabetical list of database titles. What makes OvidSP different from of the other databases is its ability to retrieve multimedia files, including video, charts, and photographs, to help give life, movement, and color your research results. Imagine preparing presentation for your topic, and having access to charts and images to include in your slides? Just search a topic and check the box for “Include Multimedia.” If the full-text articles include pictures, OvidSP gives you the option of exporting all images into a PowerPoint file. OvidSP is also able to manage your citations by allowing you to export in your preferred style—such as Chicago, APA, MLA, and many others—into your email, a word document, or other citation management systems. Send articles to yourself via email or create a personal login to save your searches and search results. You can also limit search results by publication year, article type, journal subjects, and relevancy (also known as “star ranking). Avoid the information overload and try limiting to results published just in the last year or just within one or more sets of journals. Having trouble with too little information? Change the resource selection in Ovid SP to include the Abstracts and Table of Contents for Ovid Journals as well as the Arkansas Tech Full Text resource. This will broaden your search to include the abstracts and table of contents of hundreds of other journals. 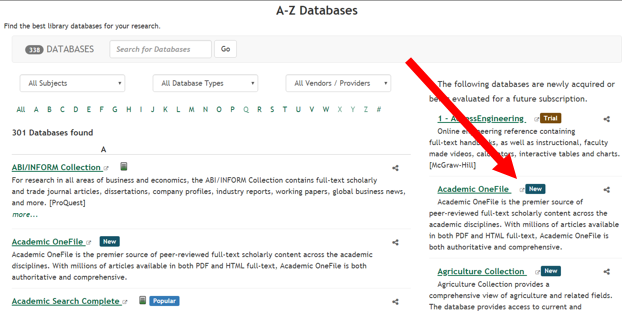 However, you may have to use Inter-Library Loan or search for journal titles in our A-to-Z electronic journal list to retrieve full text of the articles. You can also contact one of your friendly neighborhood librarians at the Reference Desk or through email at askalibrarian@atu.edu if you have any more questions about this database, other databases, or research of any kind. 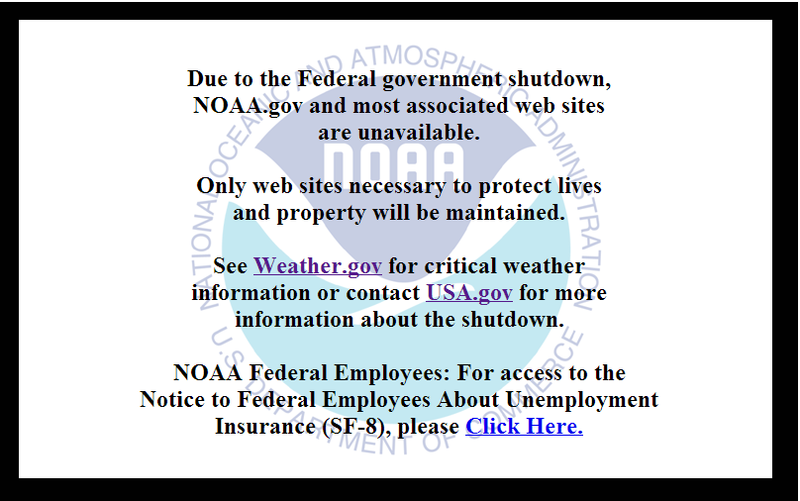 If you are currently conducting research using government-provided statistics, reports, articles, images, or other information, you might hit some roadblocks due to the U.S. Government shutdown. Effective Oct. 1, many of the government websites and databases we take for granted are now unavailable or available in a more limited way. This could impact your research, as well as the research of faculty and students across the country. 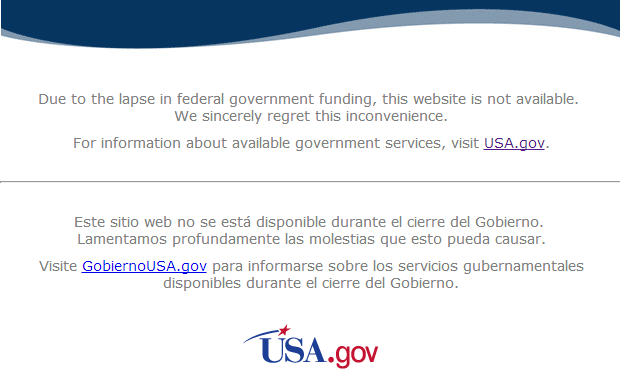 Here’s a short list of some government-based databases and websites affected by the shutdown. ERIC — The Library has four different interfaces for this important educational database supported through the federal government. The interfaces through OCLC, EbscoHOST, and Proquest will provide article searching to find citations. However, full text is unavailable from the actual ERIC.gov site, and the direct interface at the ERIC website is completely offline at the time of this post. We have selected older ERIC documents available on microfiche, and some will be available in other publications at Tech Library by selecting the “Linksource” icon in the citation. The friendly librarians at the Reference Desk will also be able to assist you in finding these resources from other sources, and Interlibrary Loan can also help provide you with documents during the shutdown. Census.gov — Census websites are now closed, and all services associated with them. This includes American Fact Finder, Federal Statistics, and other government statistical websites. THOMAS — This government website contains a fully searchable database of congressional bills and legislation. The site continues to be updated as events in Congress unfold. Statistical Abstracts of the United States (via Proquest)–A comprehensive summary of statistics on the social, political, and economic organization of the United States. HealthCare.gov–This site features information for the new national health insurance program provided by Affordable Healthcare Act. The first day to sign up for the service was October 1st, and while there have been reports of glitches and crashes, the site appears to be functioning…for the moment. All websites and information necessary to protect lives and property. Most of the direct-links to government documents as found in our online catalog. 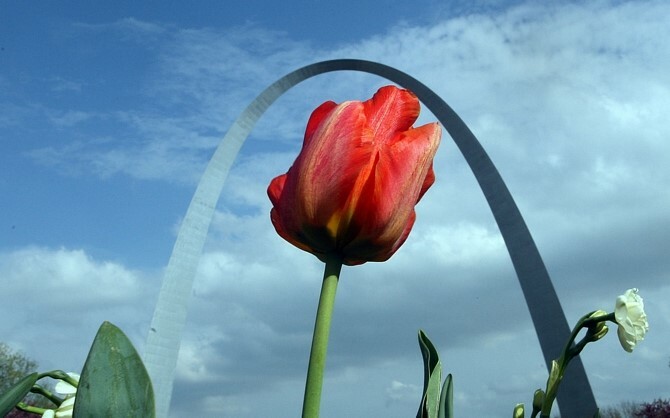 Some Arkansas-related websites and places affected by the shutdown include all of the national parks within the state, the Clinton presidential library, and other nationally funded museums and historic sites. For more information about the government shutdown, visit the USA.gov site which describes in more detail the ramifications of the government shutdown on national services and agencies. As the list grows or shrinks, we’ll keep updating this post as we are informed. If you have problems locating information, contact the librarians here at Ross Pendergraft Library at askalibrarian@atu.edu, and we’ll help you find the work-arounds to the shutdown.